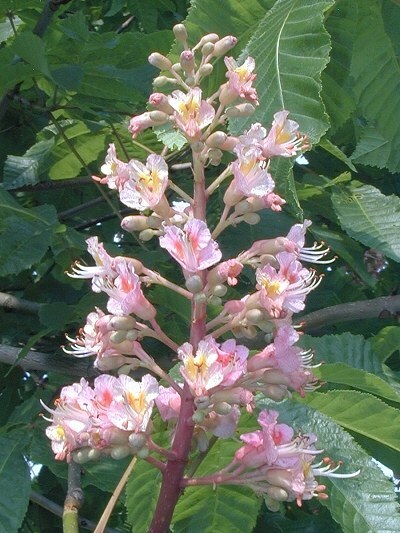 Description: Red chestnut can reach a height of 60 feet. Primarily it is found in tree groups and alleys. The bark is furrowed, The vigorous dark-pink blossoms open from the end of May to the end of June. One continuously worries about other people and cares much more for oneÂ´s relatives than for oneself.